The Matt Snowball Music team are split across our two London locations. Kent joined us from another rental company in 1993, and was our first full-time employee. She brings a wealth of experience, and a can-do attitude. 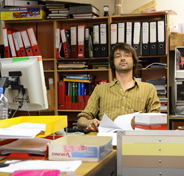 Richard‘s been here since 2004, after working in band management. He’s overseen the growth of our gear van and splitter bus rental fleet from five to twenty vehicles. 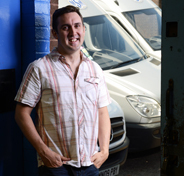 Phil has worked previously for two other backline rental companies, and also in entertainment cargo logistics. He’s a gigging bass player when not at work. 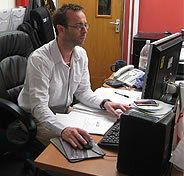 Adam worked in our warehouse for six years, and now deals with clients for rental bookings and flightcase sales. He knows our hire stock inside-out, and plays guitar. Paul joined us in 2006 and heads the flightcase workshop. He’s been involved with the design and construction of nearly every one of our 2,500 flight cases built so far. 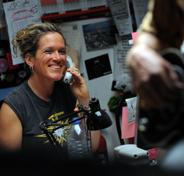 Syd joined us in 2006 after previously working for artist management companies. Matt started renting out equipment in 1991. 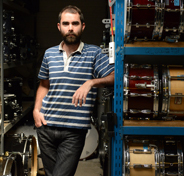 He has a background both as a tech, a musician, and a mechanical and electronic engineer.